Survivor Consultation: A report of the recommendations of survivors of violence against women, domestic abuse and sexual violence in Wales. Understanding how survivors of domestic abuse, sexual violence and other forms of violence against women use and experience public services is key to improving the effectiveness of prevention, protection and support services and systems in Wales. Survivors’ voices and experiences must also be central to informing the development and delivery of legislation, policy and strategy in order to ensure systems and services best meet survivors’ needs and action is taken to prevent violence and abuse in the short and longer term. To help shape a more consistent and sustainable framework for survivor involvement so that survivors inform public services’ work to prevent violence against women, domestic abuse and sexual violence and influence improvements in the provision of services and responses of organisations. 66 survivors attended focus groups in every region of Wales, and were asked about their experience of using services and for their recommendations and priorities for action. The survivors who took part in the focus groups were at different stages in their journeys to freedom from violence and abuse. Some survivors were current service users accessing refuges, counselling, advocacy and a range of provision. Other survivors were recent service users and of these a small number had been living free from abuse for a number of years but still felt the impact of abuse on their lives and needed continued support. Survivors made a number of recommendations to inform the development of a new national strategy on violence against women, domestic abuse and sexual violence. They also made recommendations for practice improvements in specific agencies, and provided feedback on what they felt should be the priorities for the National Adviser. These recommendations are integral to this report published by Welsh Women’s Aid and provide clear messages to Government, Public Services and the National Adviser. The report also contains recommendations that reflect survivors’ overwhelming support for a sustainable model of consultation and engagement. All participants wanted to ensure that survivors’ voices and experiences remain central to prevention, protection and provision of support services across Wales. Some may comment that 66 is a relatively small number of survivors when considering the number of individuals and families experiencing violence against women, domestic abuse and sexual violence in Wales. 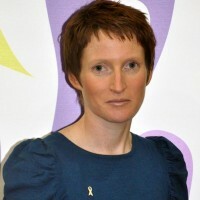 I also recognise that the consultation engaged with only one male survivor, did not on this occasion include consultation with children and young people and that the time limited nature of this work did not allow for further consideration of how survivors experiences of services are compounded by protected characteristics, identities and life experiences – all of which are integral to better understanding survivors experiences and must be considered in the development of a sustainable model of engagement. Despite all of the above however I would strongly suggest that the key recommendations within the report are reflective of a far wider representation and their relevance should not be underestimated. The priorities identified by Survivors should be integral to our response in Wales. The current consultation on the National Strategy for Violence against Women, Domestic Abuse and Sexual Violence provides a timely opportunity to consider how survivor’s voices and the recommendations within this report are shaping the national direction in Wales. This report and its recommendations have been considered by the National Violence against Women, Domestic Abuse and Sexual Violence Advisory Group, chaired by the Cabinet Secretary for Communities and Children, and recognised as an important foundation in understanding survivors’ experiences and improving responses in Wales. Appropriate resource to support a sustainable model for engagement and consultation must now be made available to ensure that survivor’s voices and experiences remain central to informing and improving prevention, protection and support in Wales. Survivors have lived through violence and abuse. They know first hand what it is like and what may help others in similar situations and I thank then for sharing their experiences. Their willingness to participate in these focus groups will help inform an improved response to survivors of violence and abuse in Wales. It is vital that Welsh Government and partner agencies listen to the voices and experiences of survivors and use the feedback they receive to make the changes necessary to improve responses for families impacted by violence against women, domestic abuse and sexual violence in Wales.